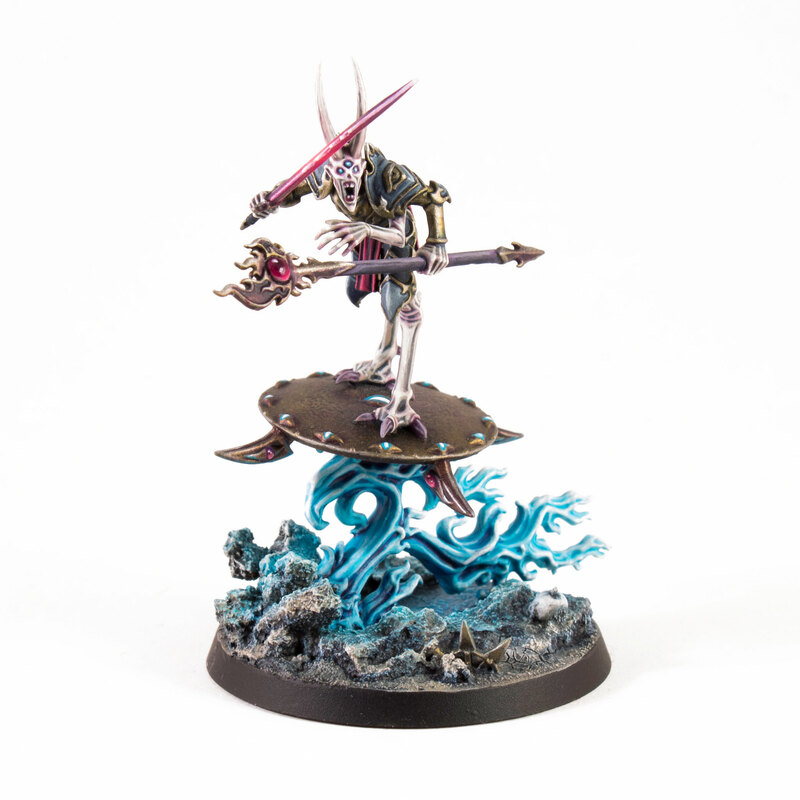 Shrieking from the æther atop a disk of hellish origin swoops a diabolical servant of Tzeentch! Gifted with clairvoyance by his dark master, Tzeentch, the Sorcerer Xori’kaan Shattermind has been driven beyond the brink of insanity. Barely a shred of his humanity remains; a three-eyed head crowned with dæmonic horns sits atop his gangling, multi-limbed frame. Shrieking defiantly he wields weapons of of arcane power to summon forth coruscating magics upon those that would dare to defy him. 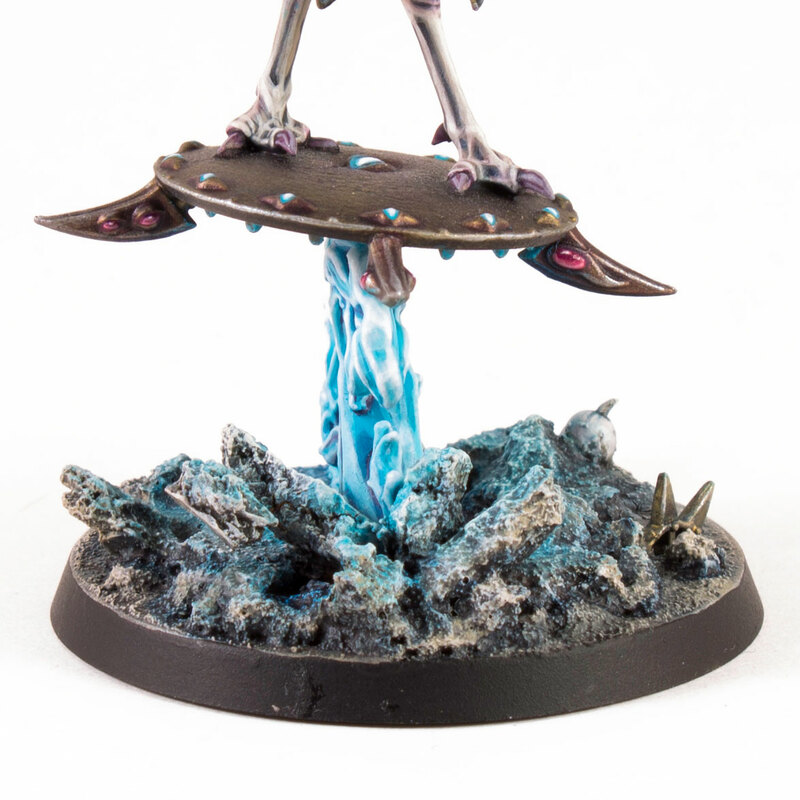 Xorik’aan rides to battle atop a glimmering Disk of Tzeentch. A surge of eldritch blue flame swells below the Disk like a bow wave. Both the flame and the Disk itself are spare parts from the Burning Chariot of Tzeentch kit. 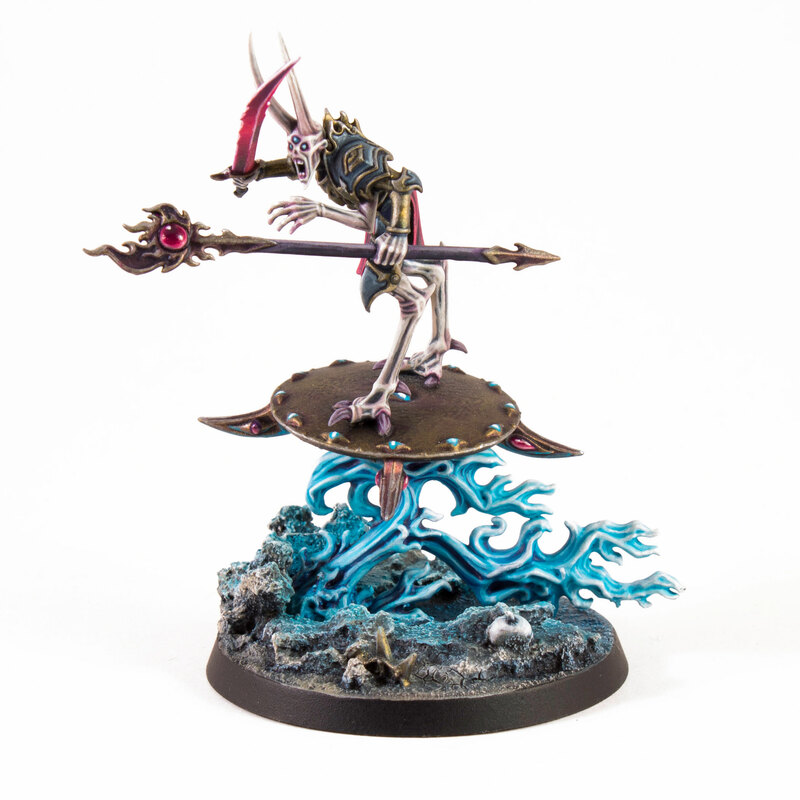 The earth itself is split and cracked asunder – blasted by the ruinous energies that propel the Disk of Tzeentch. Chunks of rock were created with pieces of cork tiling. Like the Chaos Warriors and other units in my Age of Sigmar army of Tzeentch, Xorik’aan is bedecked in blue and bronze armour. As with other characters such as my Bray-Shaman I’ve used accent colours of magenta and purple to distinguish him. I extended the use of these colours to his weapons, a crystalline sword and orb-capped staff. Sadly I lack the sorcerous gift of mind reading, so if you like what you see here or have any constructive crits then please leave a comment below! Thanks to all that have supported us at Technasma so far! He looks great. The skin tone is spot on and the color choice on the sword is perfect. It’s an extremely well composed piece. Thanks Thor, really appreciate your comments! He was a good little project to work on. The only real pain was rebasing him from his original square base before I put the finishing touches to him! Thanks, I’m pleased you like him! This looks fantastic. 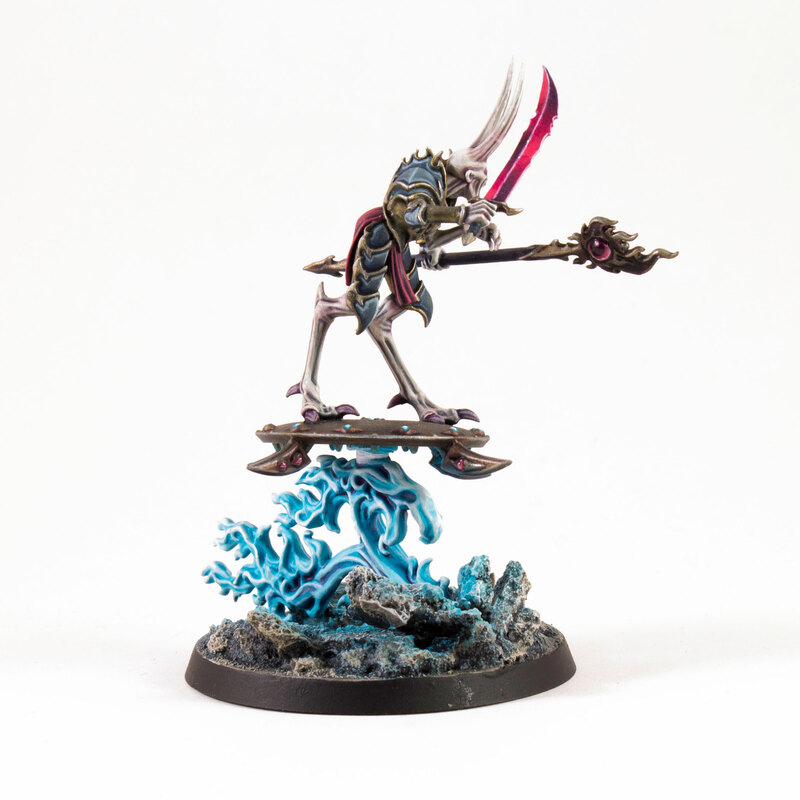 I’ve looked at all your Tzeentch warband and am super inspired. What colours did you use for the skin, if you can remember?